FolCORE is a collective from Barcelona which is trying to break the sonic boundaries from Latino Artists in Europe. This group has been a key player in the latino scene, but mainly all of their members work “behind the scene” some of the people involved are the same guys who run CABEZA netlabel, cumbia curator and authority CanalH, Mexican Bootlegumachine, Cherman, El Timbe, plus a bunch more talented producers. 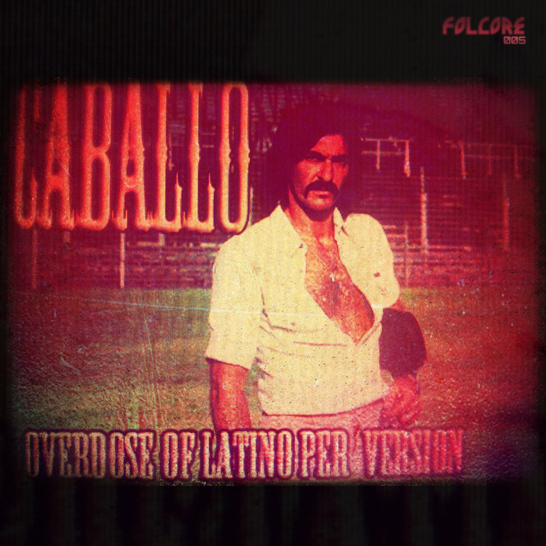 The Colombian addition to folCORE is Caballo. And in 2012, FOLCORE will be releasing lots of EXCLUSIVE material from all of the members. I decided to do a different album for FolCORE, because I normally drop more electic music, and most of the time I am politically charged, although only those who understand spanish can actually get the meaning of my lyrics..
8 Tracks from Famous people with a Caballo twist, one Original Caballo track redefined by Ckrono & Slesh and one original collab with Neki Stranac! !